Health Canada says it's looking into some private clinics offering direct-to-consumer stem cell therapies. A controversial op-ed is retracted after ties to the pharmaceutical industry are exposed. And predatory publishers catch even senior scientists. Hello and happy Saturday! Here's this week's roundup of eclectic and under-the-radar health and medical science news. If you haven't subscribed yet, you can do so here. Last week in Second Opinion, we told you about the rise of private Canadian clinics selling stem cell treatments for arthritis and other orthopedic conditions. This week Health Canada told CBC News it is following up with some of those clinics "to verify compliance with the Food and Drugs Act." Health Canada has approved only one stem cell therapy in Canada, for use in complications from a childhood cancer treatment. Yet across Canada private clinics are offering a variety of stem cell treatments for arthritis and other orthopedic conditions. They're unproven and they're expensive. And until recently they were only available through medical tourism. 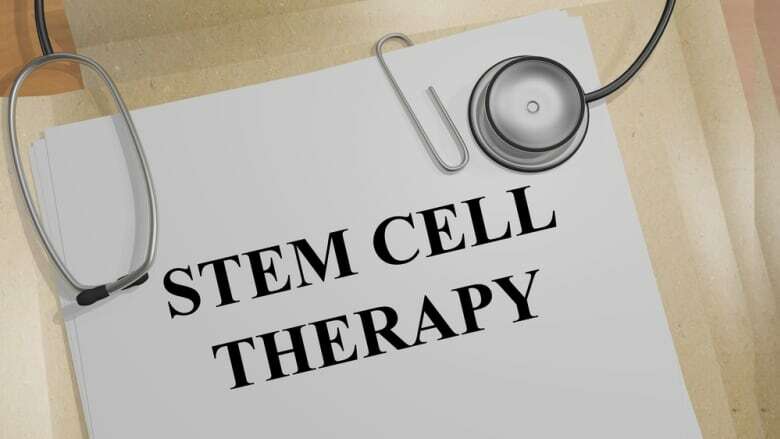 But increasingly, private clinics in Canada are advertising stem cell therapies, especially for osteoarthritis and other orthopedic conditions. "To date, Health Canada has not taken compliance and enforcement action against any Canadian clinics offering direct to consumer stem cell therapies," Health Canada said in an email. One expert told CBC News that the private procedures appear to fall outside the jurisdiction of Health Canada. That's because the method used to process the injected material is considered "minimally manipulated." The two most common procedures use bone marrow aspirate concentrate or adipose derived stem cells which are removed from a patient's bone or fat tissue. The extract is placed in a centrifuge and mixed at high speed and then reinjected into the same patient the same day. The theory is that the extract contains cellular material that will help relieve pain or promote healing. "The key word here is minimal manipulation," said Dr. Jas Chahal, orthopedic surgeon at Toronto's University Health Network. "If you minimally manipulate and you inject it into a knee or a hip, that's considered minimal manipulations. You don't need formal Health Canada approval for that." But Chahal adds that the extract is not a pure "stem cell" product but rather a combination of biological material that includes stem cells. "I think it's important to overcome that perception that you're getting a pure stem cell procedure," Chahal said. At the University Health Network he is conducting one of the few formal trials on the use of stem cells to treat osteoarthritis. In his study, the cells are removed and harvested in a lab, tested for safety and then reinjected into a patient's knee. "The first thing to realize is that unless you're part of a clinical trial these are not expanded stem cells. So what you're getting is fat tissue that's broken down or you're getting bone marrow that's concentrated." The procedures have not been tested in rigorous clinical trials to see whether they work. Basic questions have not been answered. Scientists still don't know what happens to the cells after they're injected. And they have not established a biological explanation for how the therapy could improve osteoarthritis or other orthopedic conditions. "We still have to show that you can regenerate tissue," he said. "I think it's the responsibility of the scientific community to do these trials, and I think over the next four to five years this information will become available." We asked to speak to someone at Health Canada for clarification about regulations on direct-to-consumer stem cell therapies but were told there was no spokesperson available. In the meantime, Health Canada said in an email that "Canadians are encouraged to report information related to potential non-compliant products or activities related to health products using Health Canada's online complaint form." It started with a simple headline last week: "How Pharma Sales Reps Help Me Be a More Up-to-Date Doctor." It was an op-ed column by a neurologist, praising the value of drug company salespeople who visit doctors to sell them on their newest drugs. The column was published by the respected medical journalism website STAT. But on Thursday it was suddenly retracted and it vanished from the internet, after a media dust-up that raises some disturbing questions about disclosure and transparency in medical journalism. In the column, Dr. Robert Yapundich recounted how he learned about a new Parkinson's drug from a sales rep at an industry-sponsored lunch event, after which he prescribed the drug for a patient. "It just smelled fishy from the very beginning," said Charles Seife, an investigative reporter who happened to read the column last weekend. So Seife did his own checking and discovered that Yapundich was a consultant for the company that made the Parkinson's drug. He wrote a comment that appeared at the bottom of the article, asking STAT to explain how the doctor could have been unaware of the drug until the sales rep's lunch, if he was paid as a consultant for that very drug. Other readers did their own checking and posted comments reporting that Yapundich had received pharmaceutical industry payments adding up to more than $300,000. Meanwhile, another investigative reporter had started to chip away at the story. Kevin Lomangino at HealthNewsReview.org discovered the biggest surprise, that Yapundich didn't even write the article that bears his name. The clue came when Lomangino heard there was a PR company involved. "Clearly the whole bent of the article was to promote the pharmaceutical industry, and that immediately got my antenna up." Lomangino discovered the idea for the column came from an industry-funded lobby group called Alliance for Patient Access. And the actual writing was done by a public relations firm that specializes in writing media op-eds. "What we do know is that there are boutique firms now cropping up helping place op-eds in various journals and media outlets," said Seife, who is also a journalism professor at New York University. "I think it's a dangerous and damaging practice." Overall, the column called for greater leeway for sales representatives to share information with doctors, especially about unapproved uses for drugs. Right now, drug reps are forbidden by law from telling doctors about so called "off-label" effects of their drugs. "The danger arises in ghost writing when there's a hidden agenda that's being masked by omitting the person's name," said Seife. "It's a means of hiding conflicts of interest and hidden agendas." After Lomangino's exposé was published, Yapundich told STAT the anecdote about the sales rep lunch wasn't accurate. STAT then retracted the article, stating: "STAT takes these matters seriously and values the trust of our readers. We regret the lapses." There's a dark side to scientific publishing — the shadowy world of "predatory journals." 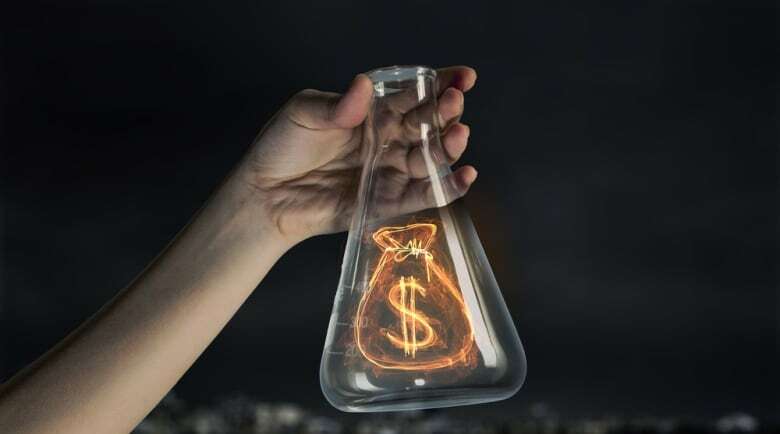 They masquerade as legitimate scientific publications, but their real business is making money by charging scientists a fee to publish their research. Unlike legitimate open science journals that also charge publishing fees, predatory journals have low vetting standards and have even been caught publishing gibberish. This week a new study in Nature discovered that predatory journals have managed to attract research from leading research institutions including Harvard. "This isn't just a problem for trainees, or inexperienced researchers," said Kelly Cobey at the Ottawa Hospital Research Institute. She reports that even senior scientists have been fooled. Often the journals have no peer review, and the research will quickly vanish from the scientific record, because the journals don't maintain reliable archives. The authors said it's a waste of good science. It's also an unethical treatment of patients who volunteer for clinical trials. "They give up their time, they potentially incur harms as part of participating, and then ultimately if a researcher goes on to put that work in a predatory journal it's not going to be disseminated, it's not going to be built on, and we have an ethical obligation to patients to ensure the data is being used and disseminated responsibly," said Cobey. "I think it's easy to see researchers as victims here," said Larissa Shamseer, who was also an author and part of the Ottawa study research team. "But researchers have a responsibility to know better and do better." How to spot a predatory journal? One of the first clues is the way they spam scientists with emails offering to publish anything they send, for a price. Spelling mistakes and careless grammar are another clue. Also watch for overly broad titles — a journal claiming to cover biomedical research, mathematics and plant science, for example. "They really just want any piece of research that they can to make a profit off of the fees they get when articles are published," said Cobey. The Ottawa researchers used a predatory journal list compiled by Jeffrey Beall, a librarian from the University of Colorado. Beall coined the term "predatory publisher," but he's now retired from his voluntary role as predatory watchdog. Watch our documentary on Beall and two other crusaders working to end scientific misconduct. How much do patients understand when they volunteer to be part of a clinical trial? Not as much as they should when it comes to particular types of antibiotic drug studies. That was the conclusion after a group of researchers investigated patient consent in non-inferiority trials. Non-inferiority trials are deliberately designed to test drugs that are the same, or even less effective than existing drugs. But regulators allow them because the drugs being studied might have fewer side-effects or offer other benefits. To see whether the purpose of these studies was explained to volunteers, University of Maryland pharmacy researcher Peter Doshi and colleagues made freedom of information requests to the European Medicines Agency, asking for all of the patient consent forms and other internal clinical trial documents from all of the antibiotic trials in the European regulator's archives. After reviewing thousands of patient consent forms from 50 trials, the study concluded that "patients were not accurately informed of the studies' purpose." "These results raise questions about the ethics of antibiotic development," the study authors wrote. "The notion of explaining risk and benefit is fundamental to the concept of informed consent in trials," Doshi told CBC News. Infectious disease specialist Dr. Michael Gardam said the study raises important questions. "People need to know what they're signing up for," said Gardam. "Most people think if you're signing up for a new drug, it's better. New usually equates better in most people's minds. 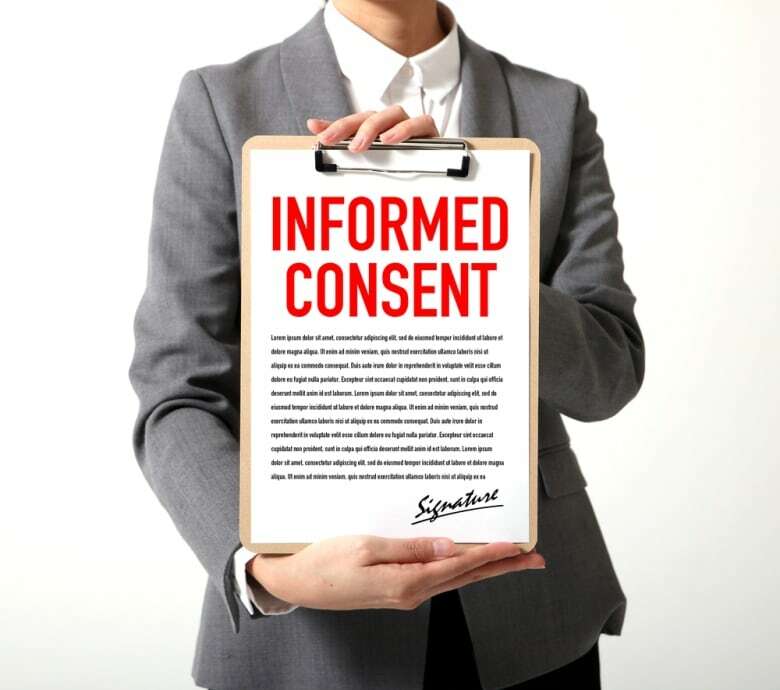 So if that hasn't been conveyed to people properly during the consent process, that's a problem." Gardam says non-inferiority trials in antibiotics don't address the bigger problem of antibiotic resistance. "We need new drugs that are going to attack different targets that are going to be effective against organisms that are resistant to the other drugs," he said. "The non-inferiority trials comparing drug A to drug B are not helping with that problem. They're simply bringing another drug to market that is treating exactly the same thing as the first drug." "It's more about bringing drugs to market so you can sell them than it is necessarily about solving our bigger problem … we need drugs that are attacking novel targets that are actually effective against drug resistant organisms." Thanks for reading! You can email us any time with your thoughts or ideas. And if you like what you read, consider forwarding this to a friend.